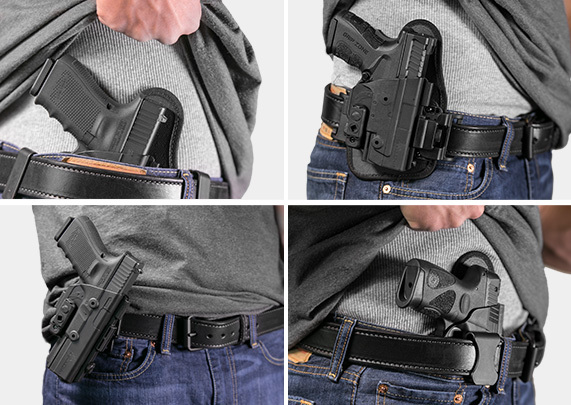 Outside the waistband (OWB) holsters are the most popular open carry option for good reason: they're reliable, comfortable, adjustable and accessible. They can be carried openly or concealed within hand's reach. And when an interdisciplinary team of gun-owning craftsmen, engineers, product developers, machinists and manufacturers work together to create an OWB holster they believe in, the entire gun community benefits from bleeding edge innovation and technology. An Alien Gear OWB holster is made in America to promise a quality everyday carry method. 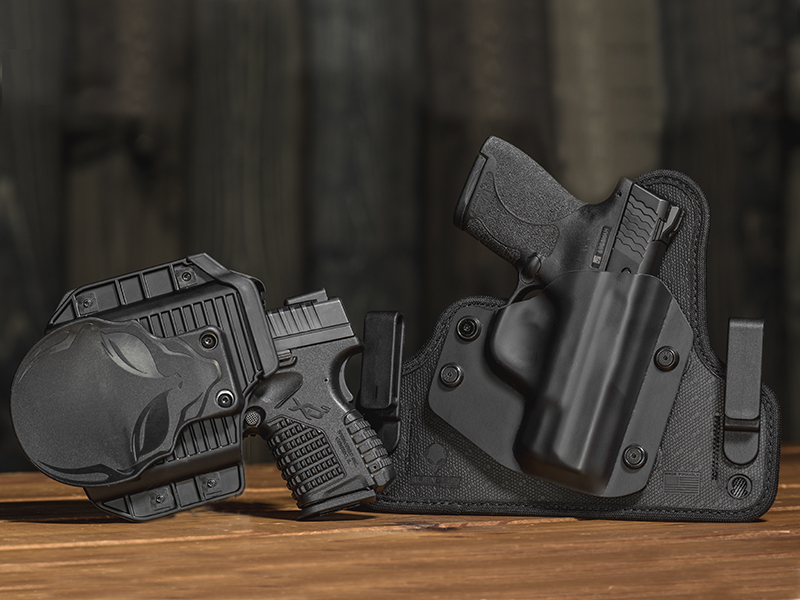 Alien Gear offers an evolving line of OWB holster models: two outside the waistband ShapeShift models, a customizable Cloak Mod and the original Cloak Slide. 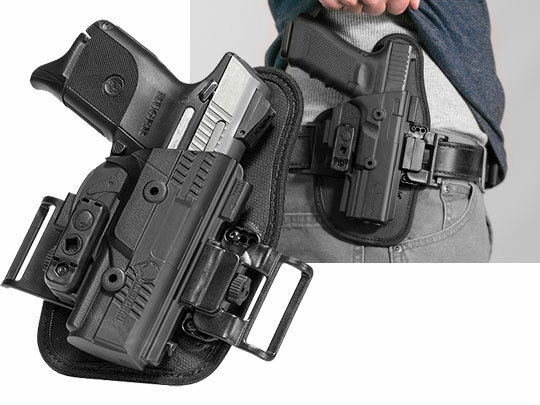 The ShapeShift modular holster system released in 2017 includes an OWB paddle holster and an OWB belt slide holster, which are designed to be reconfigured without any tools into any of the available ShapeShift holsters — like classic IWB or AIWB. 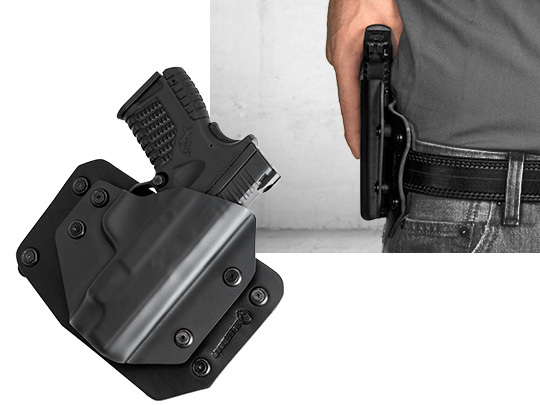 The Shift Shell (and the parts holding it together and to the belt) on the ShapeShift OWB holsters is made from an injection-molded polymer to fit the contours and dimensions of specific handgun makes and models. Its durability is unmatched. The ShapeShift models include an adjustable retention unit for customized passive retention and an active retention thumb release to classify them as a level II retention holster. The cant of the ShapeShift OWB paddle holster can be adjusted in 12 degree increments up to 360 degrees. 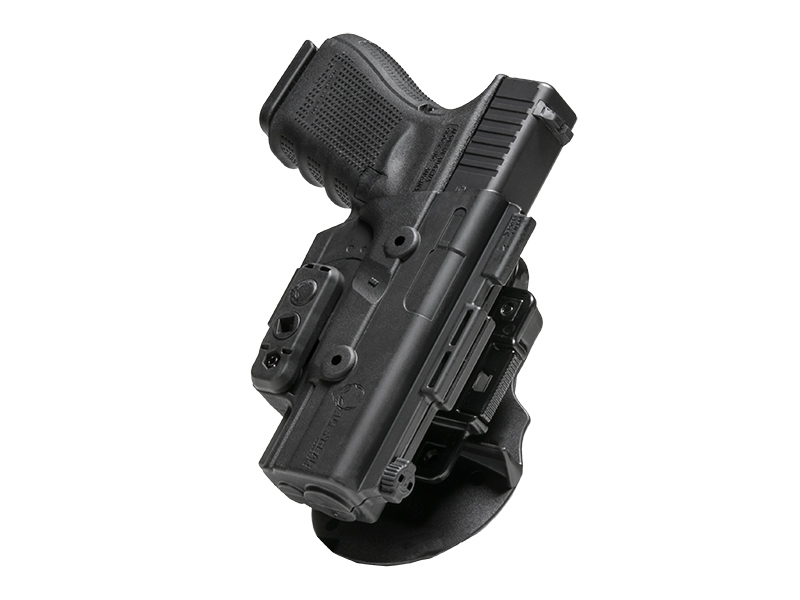 A holster mount is included with the ShapeShift paddle holster. It can be installed on compatible surfaces like wood, drywall, plastic and sheet metal for off the body storage in a secure location like a car, bedroom or desk. By engaging the quick release, the Shift Shell can be transplanted from the waist to the mount. The ShapeShift OWB belt slide backer was designed for concealment and comfort. It rides high and tight on the waist for easy concealment, and it's made from four carefully crafted materials that are edge bound together. Perforated neoprene ventilates the ShapeShift belt slide backer and wicks sweat away from the handgun, reducing the chance for rust. A spring steel core flexes with the holster backer on the waistline for all-day support while carrying. An inner layer of ballistic nylon was added for durability and strength. 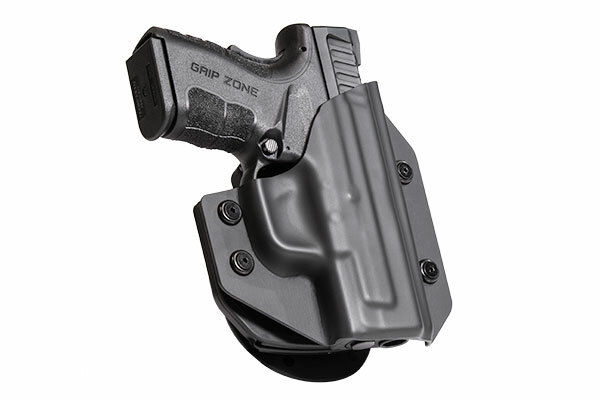 A high drag thermo elastomer textile sits on the front of the holster for retention. The belt slide clips are matched to the width of the belt to reduce wobble. 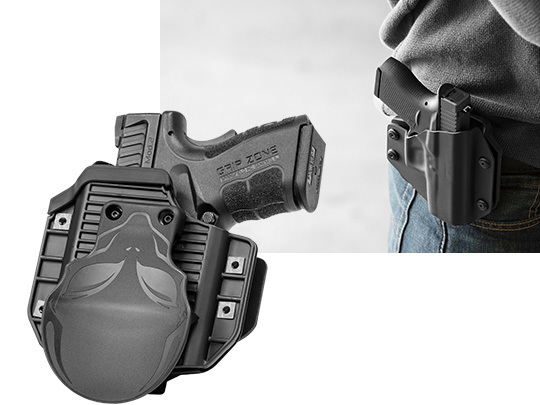 The Cloak Mod OWB holster released in 2016 is a 2-in-1 holster with paddle clip and belt slide attachments. It includes a flexible spring steel plate inside the backer with a thermo elastomer retention membrane on top to hold the handgun in place. 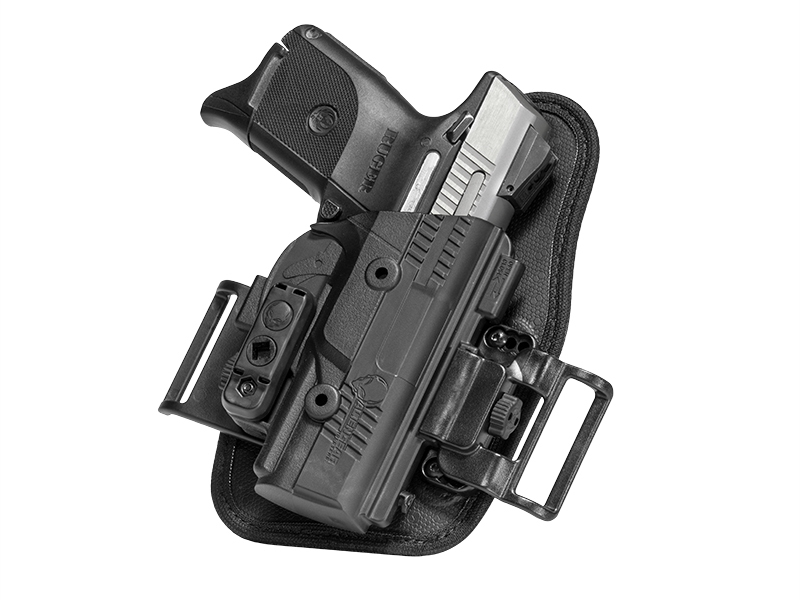 A retention lip was added to the clip to keep the holster firmly attached to the belt, warding against lethal threats attempting to disarm the open carrier. The holster's cant (up to 15 degrees forward and backward) and the retention of the holster shell, molded to the exact model of handgun, may be adjusted to allow the carrier to control the characteristics of their draw. The paddle may be swapped out with an included belt slide attachment. The Cloak Slide is a leather and boltaron hybrid holster. It's a no-fuss holster attached to the waistline by threading a belt through its loops. The Cloak Mod and Cloak Slide offer free shell trades for life. 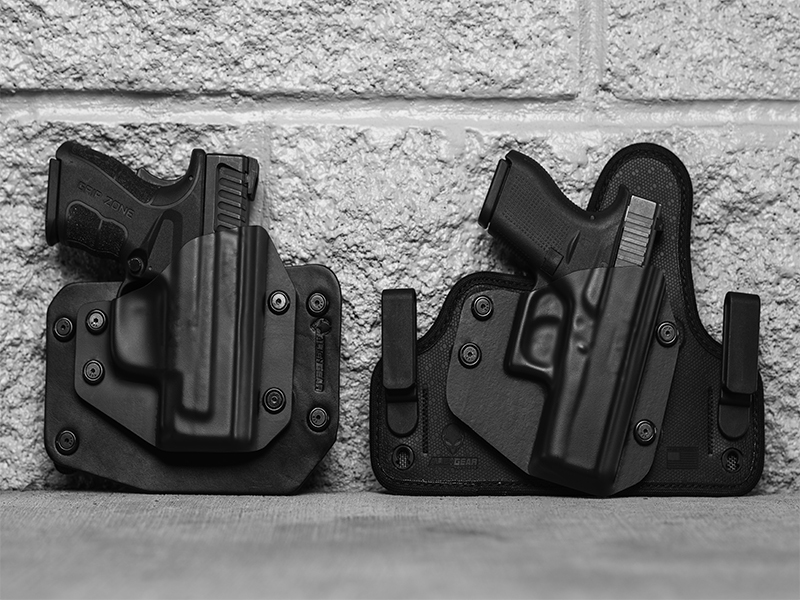 Separate ShapeShift OWB holster Shift Shells may be purchased to carry different compatible handguns with the modular system of carry. Every Alien Gear holster is covered by our Forever Warranty. If any piece, shell, component or material breaks or malfunctions, we will replace or repair it free of charge. 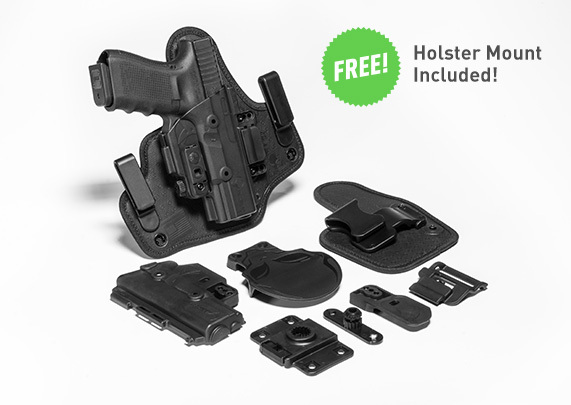 All these OWB holsters are made in America and come with a 30-day test drive. Try one out for a month. If it doesn't quite work, we'll buy it back from you. No questions asked.